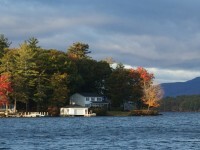 This time we have brought you the best hotel deals from all over the United States, including New Hampshire resorts at the side of the romantic Lake Winnipesaukee. Take a look at the available lakeside hotels and book by September 2 to get a room from $129 per night. Other amazing hotel deals include Myrtle Beach resort with free Wi-fi from $64 per night, a 4 star south beach hotel in Miami on sale from $129 a night, a 4 star hotel in downtown Washington – in Annapolis – from $150 per night. Hurry up and book the hotel you like before it sells out! Travel between Sundays to Thursdays from August 26 to October 1 2014 and you can save as much as 40% on your New Hampshire lakeside resort. You can get a non lake view at the Mill Falls from $129 per night, a lake view room at the Chase House at Bay Point from $199 a night, a room with its own balcony at the Church Landing resort and more in different hotels by the lake. Mill Falls at the Lake has got an outdoor pool, two indoor pools and it consists of 4 inns. It also has a full service spa and more restaurants. Make sure that you are booking the best New Hampshire hotel deal of its category by comparing the prices of different merchants. Select some of the providers below and click ‘compare price’ to see all the best offers of our partners. This entry was posted on Friday, August 29th, 2014 at 8:43 am and is filed under Hotel Deals, Top Deals. You can follow any responses to this entry through the RSS 2.0 feed. You can leave a response, or trackback from your own site.